I was diagnosed with Essential Thrombocythemia (ET) in 1989. I was only 29 then, but had become so persistently tired that it had become difficult for me to stay awake for more than seven to eight hours at a time. My initial diagnosis was Chronic Fatigue Syndrome but a blood test revealed platelets were in the high 800,000s. (Months later, I discovered the results of a blood test done five years earlier that showed platelets already above 600,000 but the doctor had not noticed this already high number.) I was told there was nothing to do and that the disease would not affect my life expectancy. I was further offered a bone marrow biopsy (BMB) to confirm the diagnosis, which I refused. So I went on living my life not paying much attention to the multiple symptoms of ET, which included headaches, flashes in my eyes, and numbness in various parts of my body. These symptoms were just something I had learned to live with, and it seemed there were worse things in life to worry about; I just made sure always to carry a bottle of aspirin in my pocket for emergencies. In 2001, a strange episode of dizziness that didn’t go away even after sitting down sent me back to my doctor. Blood work indicated that my platelets were 1.5 million. Though high normal is about 450,000, this elevated number didn’t alarm me because my platelets had previously been up to 1,985,000 (when my first born son was ten months old). After an intensely painful BMB, which caused me to throw up in the doctor’s office after the second sample was taken, my doctor informed me the good news was that there was no chromosomal transformation but that I had “some fiber” in my marrow. I asked what that meant, expressing that I didn’t think his pronouncement sounded very good. The doctor answered that it could cause me to be a little anemic but that it could be helped with medication, and he prescribed Anagrelide for my platelets. So, after some additional discussion, I left the office feeling confident because my doctor did not seem particularly concerned. In the spring of 2005, a few months before my 45th birthday, new symptoms related to my disease began manifesting; most noticeably, my spleen had grown big enough so that I needed to push it under my ribcage every time I sat down, and my fatigue, a fact of life I had learned to live with (after all, being a working single mom—and a teacher—is reason enough to be tired, right? ), had become a lot more intense. So, it was on a Saturday night, while my then seven and ten year old children were asleep, that I sat at my computer and started researching Myeloproliferative Disorders, which, until then, I had never heard about. Through that research, I discovered I could get a disease, Myleofibrosis (MF), which had a statistical prognosis of three to five years survival from diagnosis. At that point, I just lost it, and cried non-stop for three days and nights. Then I picked myself up and decided it would NOT happen to me (little did I know!) and decided to take care of myself. During my next visit, instead of reassuring me, my doctor told me that nothing could be done to stop me from getting MF, should my disease morph into it (I felt as though I’d received a huge punch in the stomach, followed by three more days of crying, then picking myself back up, ready to fight again). Finally, during the next doctor’s visit, I found out that I did, indeed, already have MF—and that I’d had it since 2001, when the doctor found “some fiber” in my marrow! For the next twelve days there was little else I did except cry day and night, and finally, I realized I needed to get on antidepressants. The nightmare was real and there was no waking up from it. The greatest irony of it all is that I had been going through a horrific five year-divorce/custody battle with my alcoholic, verbally abusive ex-husband and I was planning on having a big party to celebrate finally being free. It was through sobbing tears while driving back to school that my lawyer called to congratulate me because my divorce was final… but no party for me! Another irony is that on that day I had arranged for a leukemia survivor to speak to the students on the first day of a fundraiser, “Pennies for Patients,” that I organized yearly in conjunction with the Leukemia and Lymphoma Society. From that point forward it seemed my whole life was turned upside down. For the first time I was facing my mortality—my years were numbered! I had fought so hard to protect my children from their father, and now I feared what would happen to them once I was gone. I just had to be there for my children, I had to raise my children; otherwise, what would become of them? I kept adding my children’s ages with the statistical survival years: 7 + 3 = 10, too young!! 7 + 5 = 12, still too young!! It was an obsession, and every time I added these terrifying numbers, expecting the results magically would change, my gut seemed to rip apart into a million pieces, and I would start sobbing all over again. I had to learn to live with this Damocles Sword over my head. I was alone, all alone, unbearably alone. I was born and raised in France and came to the United States in July of 1983, a month short of my 23rd birthday. I’d been in the US ever since then, and this was my home, but I live here without the support of my extended family as a result. My mother is claustrophobic and cannot fly, and because of my disability, my income barely covers our living costs, so I haven’t been to France for almost six years. At the time of my diagnosis, I had a lot of wonderful friends, but everyone had busy and complicated lives, with children of their own to raise, and some with disabilities that they, too, were required to manage. There was no more lonely feeling than this, and I lived with my gut in a constant state of upset, seemingly shredding, and sobs always ready to burst. I remember being fascinated watching people’s reaction when I told them what I was going through. Some disappeared altogether; others never mentioned it again, as if I had never told them. Then, there were the ones who “knew” I would fight this disease and get better, no longer being sick. Others, in an effort to be supportive would tell me after I would complain about being exhausted, that they too were really tired. I felt like screaming, “You have no idea what tired means!! Your tired and my tired are NOT from the same universe! !” But how could they know? And really, it’s a good thing they didn’t know the level of exhaustion that comes with MF. Still, some true and close friends were there for me, always ready to listen, and offering to keep the boys for a few hours or even overnight to give me a chance to catch my breath and get in a nap here and there. I have always been alone, but I never really felt alone until the time of my diagnosis of MF. It became all about my boys. I remember lying in my bed in the morning, after the night had done nothing to alleviate my exhaustion, crying, wondering how I would make it through the day, teaching from 8:00 am to 5:00 pm. Still, even with my relentless sense of loneliness, despair, and exhaustion, I’d force myself to get up and go to work, never crying in front of my children. By mid-afternoon, I could hardly keep my eyes open and felt I could collapse at anytime. I’d walk between my students’ desks, talking as energetically as I could to keep myself awake, seeing double images while trying to keep my eyelids open. On occasion I would fall asleep at my desk after class and be awakened by the security guard doing his rounds to close the school down; I would be in a state of total confusion, not knowing where I was or what time it was. And then, by the time I got home, the real job started, and that was to manage the duties of single parenting: taking care of the boys for the night, making them their dinner, coaxing them to take their bath, and tucking them into bed. Sometimes, I would lie down on the couch for a few minutes when the boys were taking their bath or putting their pajamas on, and I would wake up only to find out they had made themselves pasta and gone off to bed on their own. A friend came to visit one night and was appalled to find several days worth of dishes in the sink before she washed the dishes herself. I remember saying to someone that if it weren’t for my boys, I wouldn’t be there talking to her; instead, I would be curled up in bed not bothering to get up in the morning. By 2007, two years after my MF diagnosis, my fatigue had become so extreme that taking care of two boys and working full time had become unmanageable. After three visits with two different transplant specialists, and being given one less year to live at each visit, I realized that if I didn’t make drastic changes in my life, my survival wouldn’t be four to five years as they seemed to think, but barely two years, if that much. 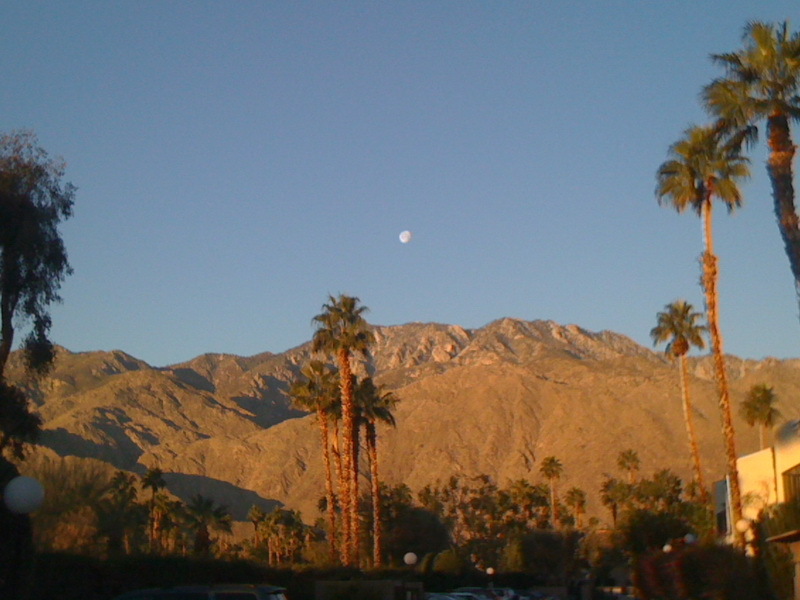 So, after much soul searching, I decided to move to Palm Springs, California, which I always loved, and which I feel offers a very healing quality. I also applied for disability with Social Security, which was approved the first time around, in March 2008. My goal was to reduce my stress, surround myself with positive people only (weeding out the others), and take care of myself so that I could take care of my boys, who by then were nine and twelve years old. 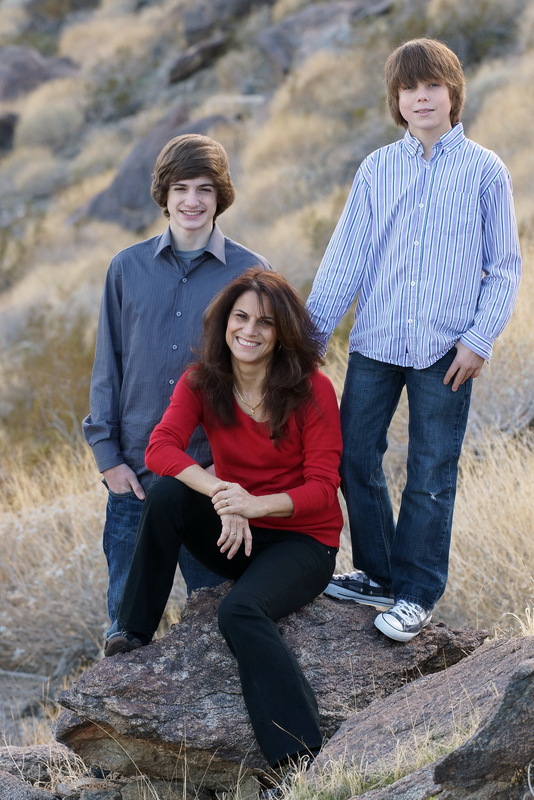 My primary objective has been to put my boys through college, and then, and only then, to look at my treatment options differently. A stem cell transplant in my situation (single, with two boys in the heart of their teenage years) is currently not an option. I do not have a “village” to take care of me. I do not have anyone who can be my caregiver 24/7, nor do I have anyone who can take care of my boys when I cannot take care of myself while I go through the transplant process. I have always been the caregiver, not the other way around and a stem cell transplant is only an option at a later date, should I ever find a match. Presently, I don’t have a match on the registry, since, with my continuing luck, I have “very rare” antigens. So, my only hope right now is not to get Acute Myeloid Leukemia, and for that, I need to take care of myself. For me that means incorporating holistic techniques as part of my daily care, including yoga, meditation, tai chi, swimming in the summer when I have the energy for it, taking naps when I can, and immersing myself in the beautiful surroundings in which I am so fortunate to live. 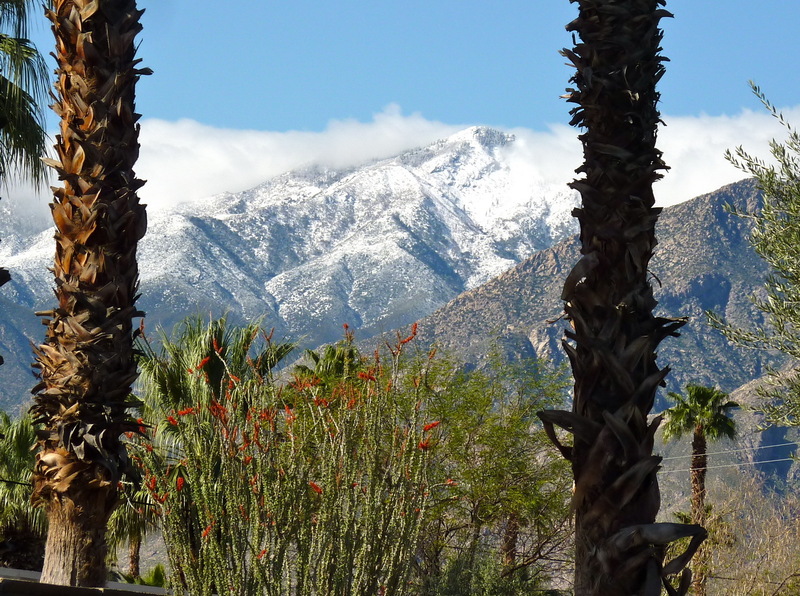 Everyday, when I look through my windows, I can’t help but marvel at the magnificence of the mountains, the palm trees, the gorgeous intensity of the blue sky. Since I have been in Palm Springs, and after receiving two transfusions in June and November of 2007, my health has remained relatively stable, and “relatively” is the key word. I do not feel great by any means—my hemoglobin is in the 10s, sometimes lower and rarely higher; my platelets fluctuate between 600,000 and 900,000, rarely higher. Of course, two teenage boys are a handful to manage for any healthy parents, let alone a single parent with a debilitating medical condition. With a 17 year old firmly asserting his independence and going to college in the autumn, and a 14 year old, also searching for his individuality —serving as both the father and the mother is never easy. Learning to accept my limitations, even after all these years with MF is still a struggle. I have often felt like a failure not to be able to do the things I think I should be able to do. 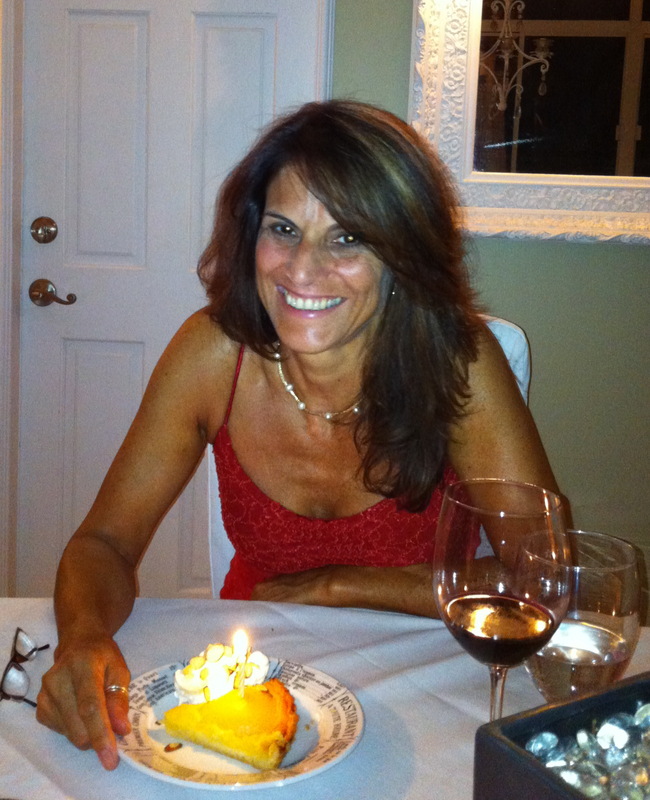 Fortunately, I have a wonderful therapist at the Cancer Center who has been helping me embrace my medical condition instead of fighting it, and teaching me to accept my limitations and my “new normal.” These are not easy lessons for someone whose first instinct, when faced with challenges, is to fight them tooth and nail. It is a work in progress, and every night I thank the universe for giving my boys another day with their mother and giving me the chance to work on accepting my limitations. 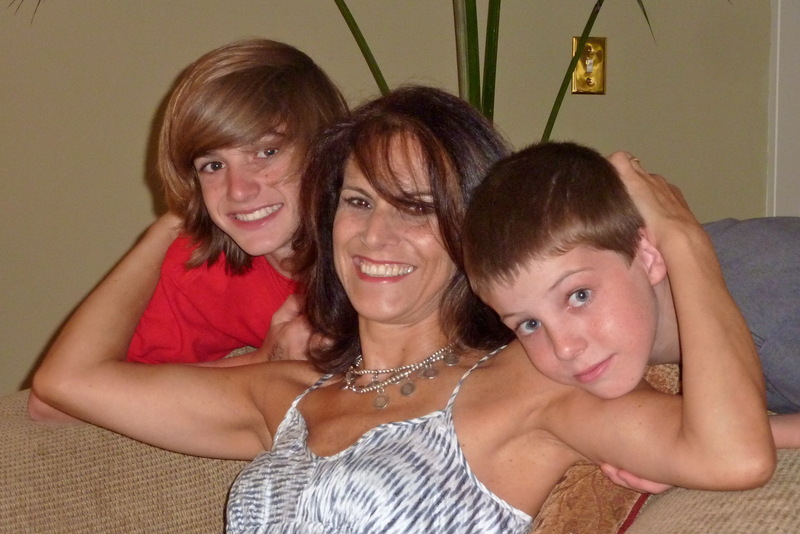 One of the hardest things I‘ve ever done was to tell my boys about my medical condition. One evening I explained that, as they could see, I was tired more than normal and that it was caused by a medical condition. I explained it was becoming very difficult for me to work and take care of them. 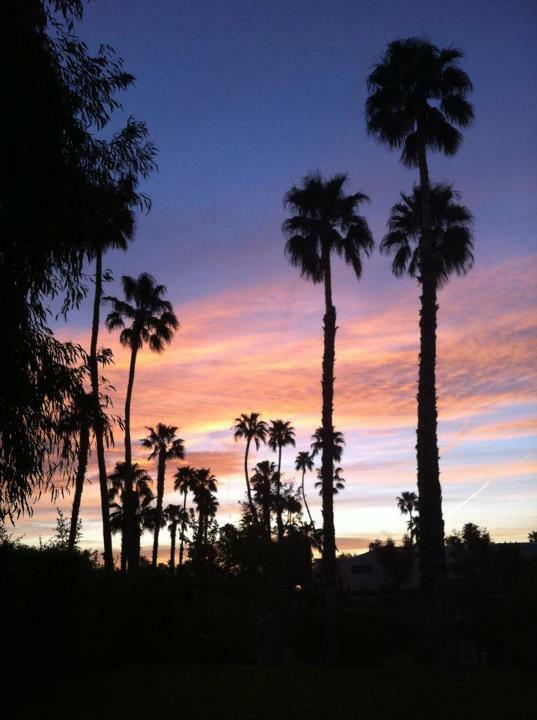 I told them this was why I had decided to move to Palm Springs, a calmer place, where I could reduce my stress and rest, and that I’d probably stop working. 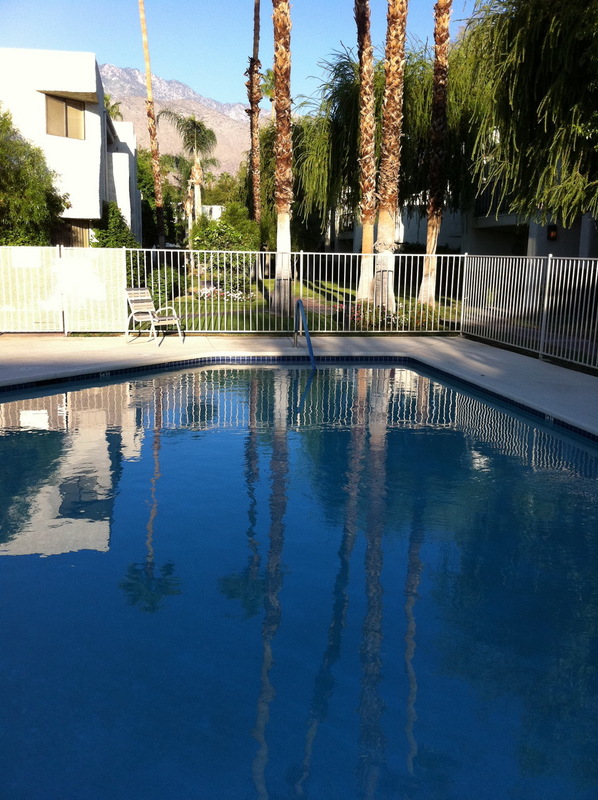 Instead of asking questions regarding my medical condition as I had expected, they wanted to know what our life would be like in Palm Springs, so I left it at that. After a Christmas holiday surrounded with wonderful friends, whom I consider family, I slowly started to feel a little better day by day, eventually bringing myself out of the dark hole I had been in for so long. Then, in early March 2008, I returned to see my favorite transplant specialist in Los Angeles to appraise my medical situation. After a long consultation and a thorough review of a year’s worth of lab results, she concluded that, although the results were far from spectacular, Revlimid was working after all. Armed with this great news, I decided it was time to talk to the boys in greater detail about my condition. By then, Bryan had just turned thirteen and Jeremy had just turned ten. So once again, I talked about my disease, but this time with more detail, explaining what it is, what it does, but that I was taking good care of myself, and that there are a lot of new medications and new treatments being developed all the time. Jeremy listened for a few minutes, and then got up to play with his new toy. Bryan, with his scientific brain, asked very specific questions, wanting to know numbers, names, statistics, etc…I was very open and honest with him, all the while trying to convey the same positive message. Bryan turned away furtively to wipe some tears, then hugged me and left. During the next few days, he would come back and ask more questions, which I answered as simply and honestly as I could, and then, satisfied, he would return to his activities. My life has never been easy and I never really enjoyed life until these last couple of years in Palm Springs. I was not particularly unhappy, but I was never really happy either as my life has only been a string of challenges one after the other. When I was diagnosed, I remember talking with friends and telling them that if it weren’t for my kids, I would not be worried about dying and that it would just be a relief not to have to fight any more, but because I have my boys and because of our situation with their dad there is no question that I have to fight and be there for them until they can take care of themselves. I do not feel great, but I feel better than I ever have. This disease has taught me a lot of positive things, and for that, I am thankful. Living with MF has taught me to enjoy every moment without worrying about what might come later, to put things in perspective so as not to worry about trivial matters. Through MF, I have come to realize I have little control over most things (hard one to swallow for someone with control issues!). I am learning to take care of myself and learning that I am important, too. This disease has also revealed to me my true friends, those individuals who lift me up. Because of MF, I look at things differently and I have embarked on a spiritual journey that still amazes me every day. I am learning to ride the wave rather than to allow it to engulf me, and I enjoy every day, one day at a time. 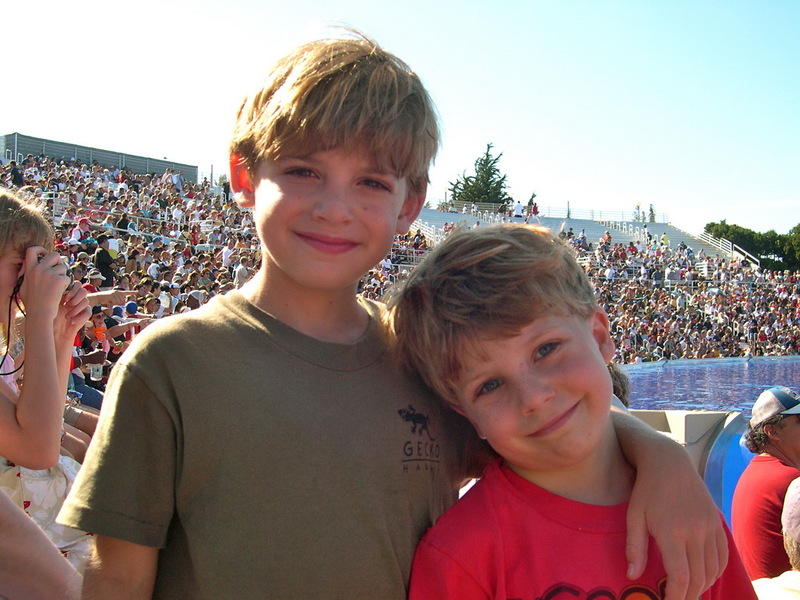 I marvel at my growing boys, at how beautiful and smart they are. I look at the sky with awe and I am amazed at the beauty of the universe. I stop and listen to the birds, smell the wonderful aroma of blooming grapefruit trees, feel the warm wind on my skin—these are the wonders of life I never took the time to appreciate before, and for that, I am thankful. © Beatrice Larroque and MPNforum.com, 2012. Unauthorized use and/or duplication of this material without express and written permission from this blog’s author and/or owner is strictly prohibited. Excerpts and links may be used, provided that full and clear credit is given to Beatrice Larroque and MPNforum.com with appropriate and specific direction to the original content. I really enjoyed your story. I have two boys 6 and 12. They know little of my illness. They just know of my many hospital stays. Thank you for your story. Your story is so powerful and I am sure that so many, including myself, can relate to your feelings. Yes, it is time to stop and smell the roses. Wishing you well. Your story was very detailed and I am sure will help many, many people. It is amazing, once we learn to handle stress and not let stress handle us, we learn to breath again and are then able to see the beauty that is all around us. house. I also have a husband who listens when I am worried and comforts me when I’m afraid. I have several very good friends who also listen to my fears and help me sort things out. I am so glad you have found good friends and perhaps have found a medication that will extend your life for many,many years. I’m not a touchy-feely person but I really wanted to give you a big hug after reading this – just to let you know that you are definitely not alone. There’s a small but passionate community here that loves you and wishes you the very best of everything for you and your beautiful boys.